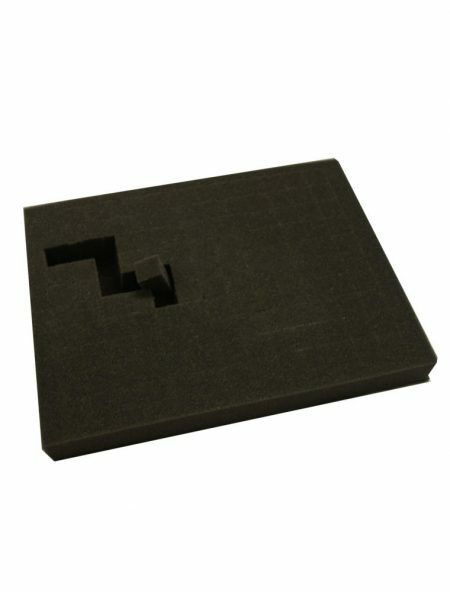 Single foam tray with an attached bottom pad. 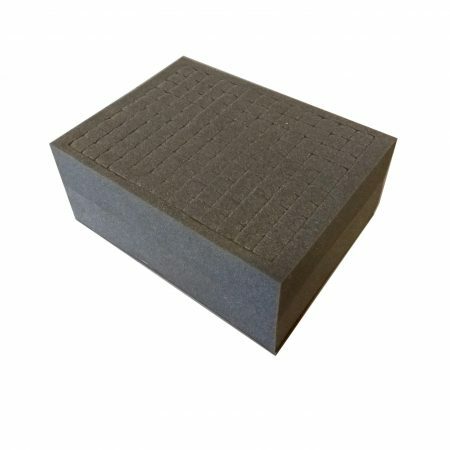 The Tray is also supplied with a cover pad. Made for the classic G.W. 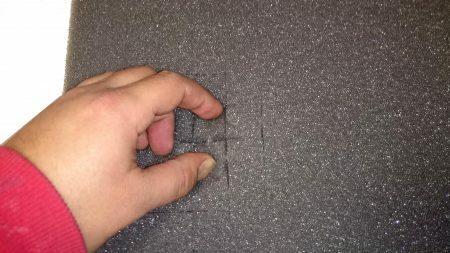 Figure/ Army Figure Cases and the Tabletop Tyrant range of full-size cases. 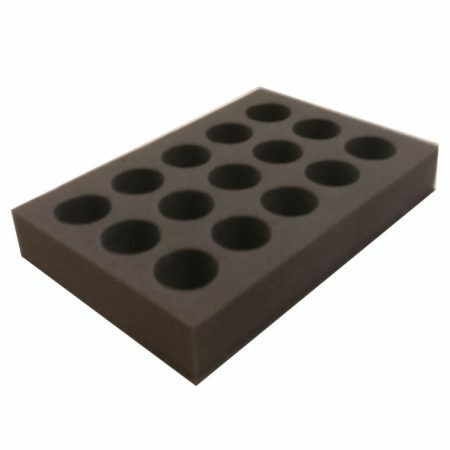 Provides a segmented pick & pluck tray. The “pick and pluck” design guides you for fitting in a variety of models or items. 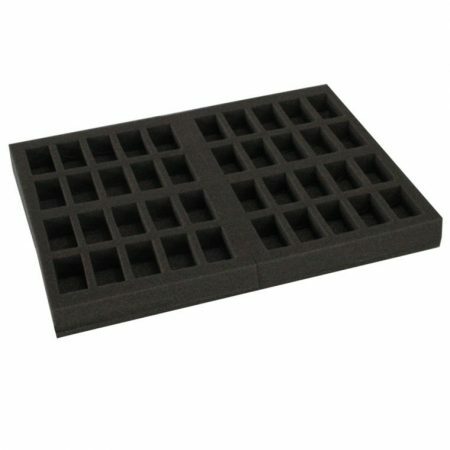 Simply remove the squares of foam you do not require and make a perfect fit for the items you need storing. Specially designed to fit in Tabletop Tyrant Storage Cases and the older generation of Games Workshop figure cases. 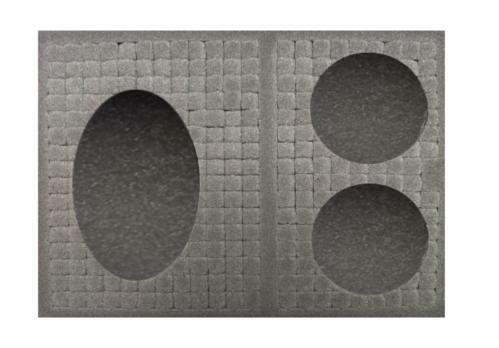 Any trays over 105mm deep are made with our new hybrid design technique. Where we glue smaller trays to make a larger one. 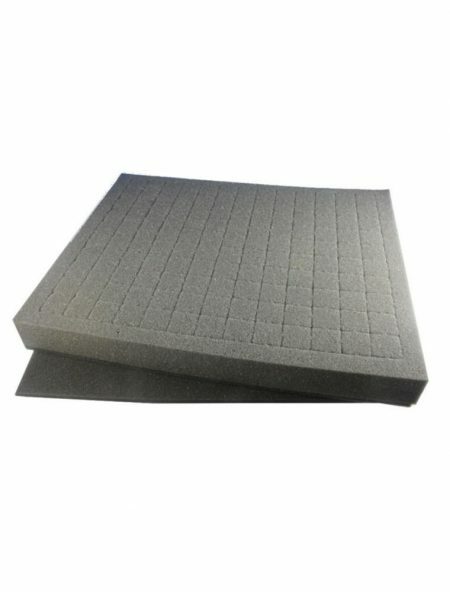 Price of the storage foam depends on the thickness selected. Please note that any models shown are not included.